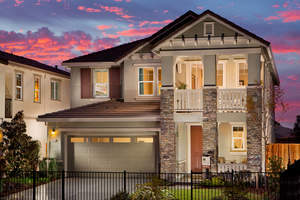 SAN RAMON, CA--(Marketwired - Oct 9, 2015) - William Lyon Homes' Pick and Pack Savings Event* is offering three ways to save big on the purchase of a new single-family home for a limited time only at participating neighborhoods in Northern California. 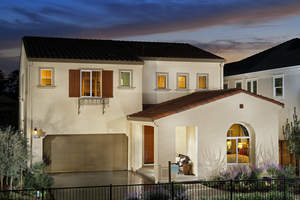 Homebuyers are encouraged to hurry-in to the sales galleries at Cielo at Palmilla in Brentwood, Maplewood in Tracy, Oak Crest at Hidden Glen in Antioch and Victory at Vista Del Mar in Pittsburg for the final opportunity to pick their favorite way to save big on select quick move-in homes. Buyers can choose from design studio credit, savings on closing costs or additional appliances and start packing for a quick move into their beautiful new home. 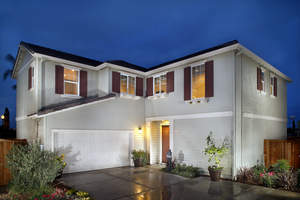 Visit www.lyonhomes.com/northern-california to learn more. Quick move-in homes available include Residence Three, Homesite 36 at Cielo spanning approximately 2,305 square feet with more than $25,000 in upgrades including granite kitchen counters, stainless steel appliances and more. Maplewood has a beautiful Residence Three, Homesite 13 with approximately 3,092 square feet and more than $30,000 in upgrades such as maple cabinets, custom interior paint and upgraded laminate floors at the entry, kitchen and great room. Available for a 45-day escrow at Oak Crest, Residence Five, Homesite 267 offers approximately 2,763 square feet with a stainless steel appliance package, granite slab kitchen counters and buyers can still select flooring. Victory has a stunning Residence Three, Homesite 124 with approximately 3,267 square feet of living space, white cabinets, stainless steel appliances, huge kitchen with large island, hardwood floors, a spacious California Room and much more. "Homebuyers should visit participating sales galleries soon and take advantage of this incredible savings event while it still lasts," said Kathy Floyd, Director of Sales for William Lyon Homes. "Buyers are invited to explore the various designs and settle in just in time to celebrate the holidays from the comforts of their new home." Residence Five at Oak Crest.